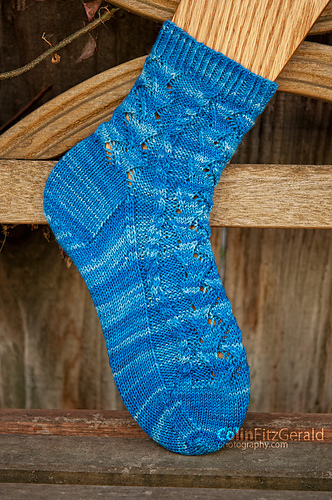 Named after Tobias Fünke, would renowned “analrapist,” this sock is a little funky, a little strange, and a little confused by its path in life. 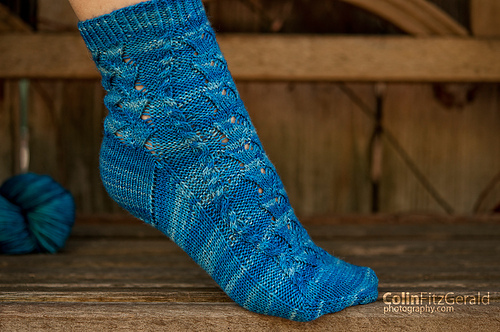 This pattern is written cuff-down, with instructions provided for a heel flap. Please note that this pattern is written for two circular needles and uses the abbreviation “ndl1” and “ndl2” to indicate this. If using DPNs, make sure you pay close attention to this. Instructions for different sizes are provided in brackets. 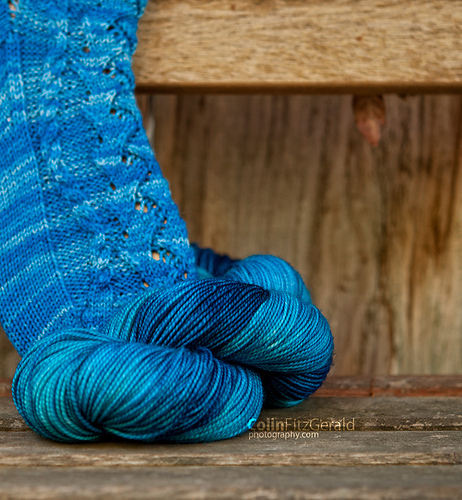 There are separate instructions for the right and left sock: you do not have to make them mirror images of each other, but they look kind of awesome that way. The cables should be on the outside of the foot. 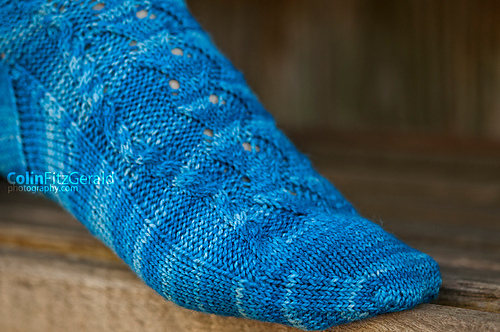 At the risk of sounding repetitive, the right sock has a cable on the right side of the foot and the left sock has the cable on the left side of the foot. This pattern will go significantly faster if you cable without a cable needle.